iSuppli has updated its forecast for iPad shipments through 2012 – saying that 12.9 million iPads will ship in 2010, 36.5 million in 2011 and 50.4 million in 2012 – that’s 99.8 million iPads…you’ll excuse us if we round that up to 100 million. 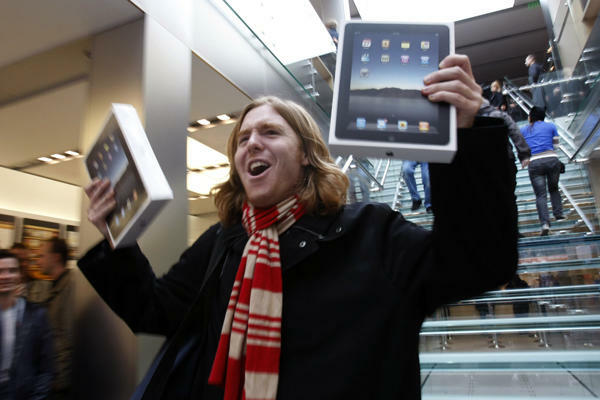 Since iSuppli is insisting that demand will continue to outstrip supply, we’re going to assume that they mean that all 100 million of these shipped iPads will be sold. The forecast goes onto say that with 84% of the market (we’re not sure where that other 16% is), the iPad, “virtually owns the market, and the device is expected to dominate at least through 2012.” iSuppli is also predicting updated iPads in April 2011. Here’s our take: even with an very impressive 3.27 million iPads sold in less than one quarter, and no viable competitor on the market right now, iSuppli’s 2012 numbers especially seem pretty aggressive (though not completely out of the realm of possibility) – at 50.4 million units, that would mean Apple would almost be selling a million iPads a week. To put this into prespective, Apple announced at WWDC that it has sold a combined total of about 100 million iPhones, iPod Touches and iPads – in it’s history. Another comparison: HP, the leading worldwide computer maker, sold 59 million computers in 2009, with 305 million computers sold worldwide, meaning that if Apple could pull this off, the iPad would equate to about 1/6 of the computing devices sold in 2012 (assuming overall computing device sales stayed the same as in 2009, which probably won’t happen, but this should suffice as a general guide). If, however, the iPad continues to be far and away the best in class and people start making the choice of an iPad over a PC, and the price points go down just a bit, and it’s lighter, with a Retina screen and at least one camera… like we said, not completely out of the realm of possibility. Read next: Woa: Toxic Avenger - one Amazing Music Video!